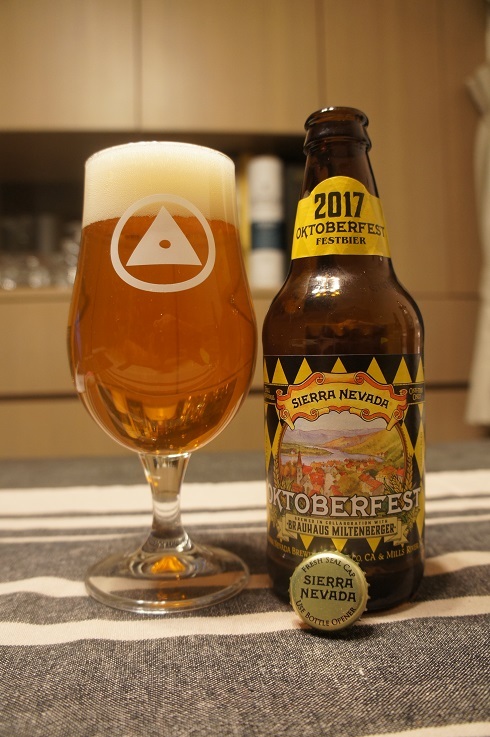 Brewer Description: (from bottle) We’ve partnered with Brauhaus Miltenberger, one of Germany’s most highly regarded craft brewers, to create an authentic festival beer for your Oktoberfest celebration right here at home. We’re focusing on a depth of complex flavor in this amber lager, using traditional techniques to create layers of rich malt notes that remain light and crisp. Intro: A 12 fl oz bottle, packaged on 7th July 2017, poured into a Holy Mountain tulip glass. Appearance: A nice clear copper colour with a just under two finger white head that had decent retention and left behind nice lacing. Aroma: Toasted bready malts, black tea, grassy, herbal with a splash of lime. 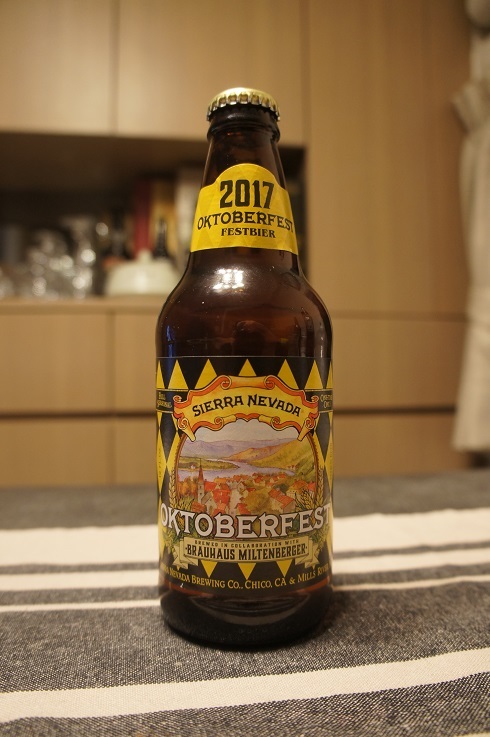 Taste: Bready malts, cracker, apple, pear and grass with a touch of spice and floral notes. Mouthfeel: Light to medium bodied with light to moderate carbonation. Overall: This was pretty good. I enjoyed this version more than the ones from 2015 and 2016.